Threshold is a puzzle platformer game where you guide a cute little gnomish wizard of the seasons to find his way home through a series of mysterious doorways. All is not as it seems, however, as depending on which direction the player faces, the world changes to present different challenges. Threshold was developed during the Global Game Jam 2014 and as such is more of a prototype then a fully featured game. We are currently working towards developing the game further and your feedback would be greatly welcomed. We've been working on Threshold for the last year and we think we are finally ready to launch a Kickstarter campaign on January 19th. We've been working hard over the year since we originally created Threshold during the Global Game Jam 2014. Nailing down the core game's design and art style took us good amount of that time. We are happy to say that we are very excited with the results. We would love to hear your feedback on our work in progress campaign page..
Too excited for Threshold for words? Tee-Shirts for sale on Redbubble. YouTube indie game reviewer Eclipse the Gamer just released a video of his play-through of Threshold. 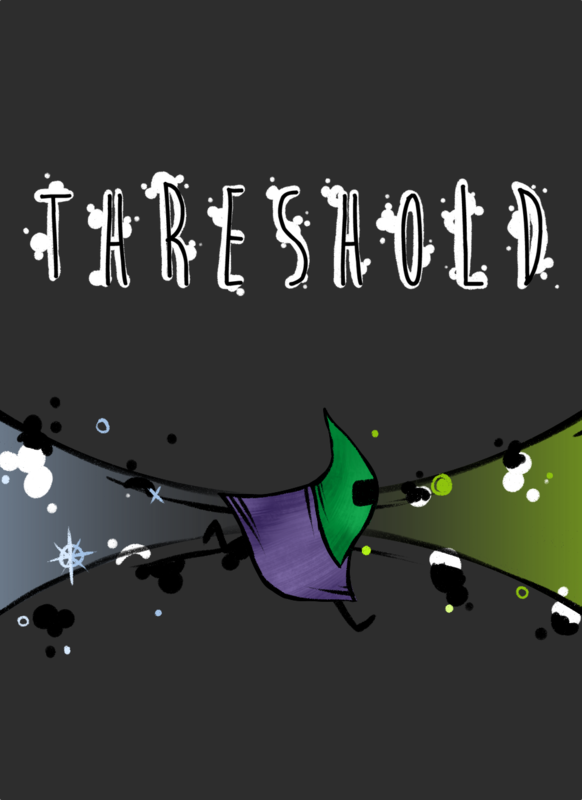 We are very excited about our new game, Threshold (and our new team, Team Threshold) which we created during this years Global Game Jam. This is the Mac OS X build (Global Game Jam 14 version) of Threshold. This is the Windows build (Global Game Jam 14 version) of Threshold. This is the Linux build (Global Game Jam 14 version) of Threshold.